Show the kids that museums are anything but boring at these family-friendly museums. Pre-schoolers will enjoy a flight-inspired story in the Peter Pan Club, and Afternoon Aviators (kids ages 5 and up) learn how to build a paper airplane and play airplane bingo. Older kids can join the Rib-Making Workshops and even learn how to construct their own 1909 Wright Rib Wing. The main attraction for big kids and adults here is the three-story urban treehouse, called KidWorks. For the under-5 crowd, Tot Trails encourages running and crawling, as well as digging for fossils. Check out the kid-sized Royal Farms Convenience Store, Fill’er Up Station, and Tiny’s Diner. Tucked away on more than five acres of land at the head of Spa Creek, this museum teaches kids all about the Chesapeake Bay. Peek at wildlife through the Bay Window or build a city in the Hard Hat area. The Underground Railroad Trail explains how runaway slaves depended on nature to survive in their quest for freedom. Guests can stroll the picturesque grounds, manor house, ice house, log cabin, carriage collection and two barns of Maryland’s first governor, Thomas Johnson. At the Children’s Museum, kids get a hands-on experience of Colonial America. Looking for a great family day trip in the Washington D.C. Metro Area? Then the Calvert Marine Museum is the place for you. 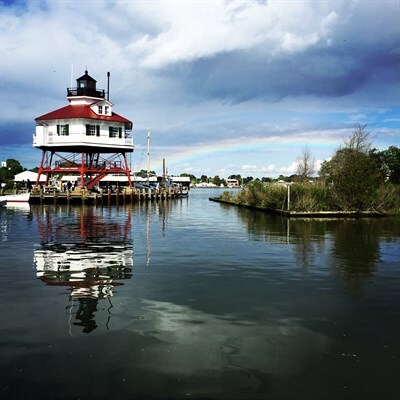 Located in Solomons, Maryland, at the mouth of the Patuxent River, the museum offers fun, hands-on experiences in a beautiful setting. Interactive exhibitions are on all levels of the Maryland Science Center and a hall showcasing dinosaurs and earth sciences is a big hit with the kids. The IMAX Theater has 3D film technology for an immersive experience.